Until approximately the end of 2017, tensions in the Korean Peninsula were of constant issue to the international community. The American dogma of isolating and sanctioning the Democratic People's Republic of Korea (DPRK) over its frequent missile and nuclear tests fueled skepticism about where it would all lead. China is among the countries seriously affected by rising tensions because a potential military crisis in its neighborhood might entail dramatic consequences. Although China – despite conventional Western wisdom – was not in a position to shape the stance of DPRK, it was openly advocating constructive engagement of the country under dialogue mechanisms such as the "six party talks." At the beginning of his presidency, President Donald Trump did not largely differ from his predecessors in approaching the DPRK, regularly targeting its top leader Kim Jong-un in his compulsive tweets. However, following the 2017 South Korean election that produced the takeover by Moon Jae-ing, Trump adjusted his policy to the new developments. Moon was elected with the mandate of exploring the possibility of closer ties with Kim that might lead to the reconciliation of their countries and perhaps even to the long-term reunification of the Korean Peninsula after many decades of separation and frequent tension. The majority of South Koreans, exhausted by years of uncertainty and the risk of a war, believed the vision of their peace-promoting president could yield some results. The initial results certainly have been positive. Not only are Seoul and Pyongyang making important steps to work together, but the international community is benefiting by the good momentum and is giving Kim the opportunity to have his voice heard and hopefully negotiate a final settlement. It is China that has led the way through enhanced ties with the DPRK leadership. For its part, the U.S. decided in 2018 to break the taboo, abandon previous foreign policy frames and opt for diplomacy. The personal stamp of President Trump is evident here. He is currently disagreeing with the "bottom up" approach where the foreign policy establishment is preparing the details of an accord and the heads of state seal it. Rather, he believes the heads of states themselves are the ones who should have control of the situation. This is how he made the decision to establish personal contacts with the DRPK leader. 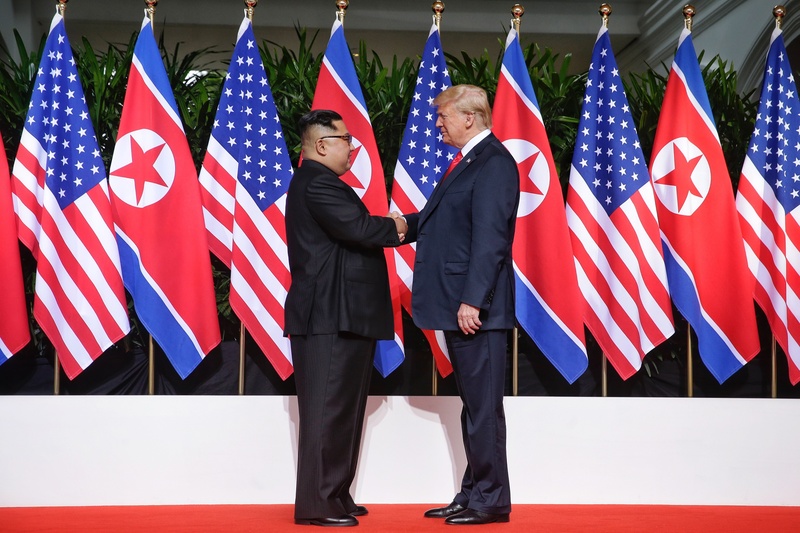 The first meeting between Trump and Kim held in Singapore in June 2018 was very important, but rather exploratory due to the unprecedented nature of the initiative. The second one taking place in Hanoi this week was designed to flesh out the details. 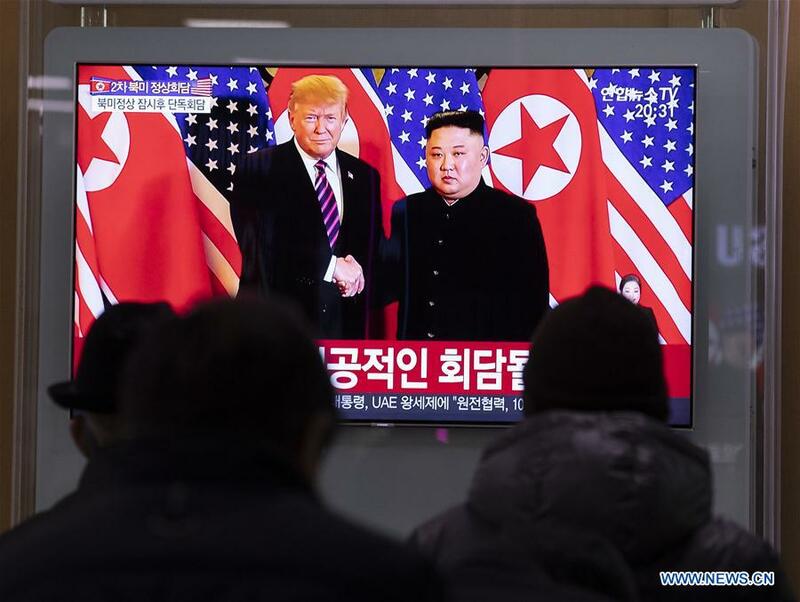 Denuclearization remains Washington's objective but the timeframe for its realization as well as its linkage to the lifting of sanctions are still debatable and difficult to anticipate. Pyongyang could be prepared to accept the process of denuclearization as defined by Trump, but it is playing tough in the negotiation. Inter alia, it is asking for a reduced U.S. military presence in the region. Pyongyang wants to avoid the scenario in which it will become militarily weaker and the U.S. stronger. Security certainly drives its negotiating style. Against this backdrop, Trump is being criticized in his country for defying traditional foreign policy goals and giving in to Kim's demands. His critics argue the DPRK is making promises without delivering and is able to escape from necessary verification tests and even continue its nuclearization. 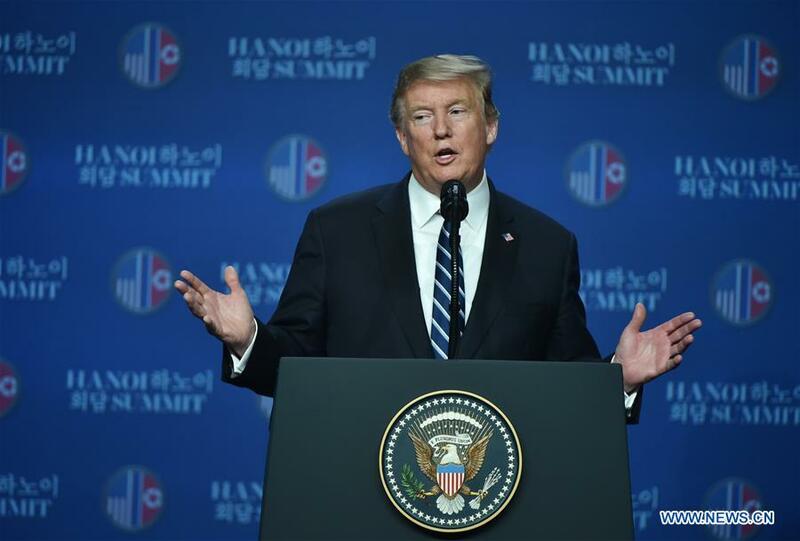 Trump, they say, undermines Washington's strategic priorities in East Asia and does not take lessons from the failure of some diplomatic efforts in the past. It is premature to draw conclusions about the future of the Korean Peninsula. The process of denuclearization is difficult and complicated whereas continuity in the U.S. approach should not be taken for granted with a potentially divisive 2020 presidential election. However, someone doesn't have to be an expert in international relations to diagnose that an aura of calmness has returned to the Korean Peninsula over the past year. The U.S., as Trump himself suggests, does not now feel threatened by DPRK. Meanwhile, the DPRK is endeavoring to chart its own opening-up development course, China counts on stability, and the international community hopes one of the most complex international problems will be successfully handled. Patience is now required. After so much past tension, the aura of calmness on the Korean Peninsula in the past months of efforts to bring the U.S. and the DPRK together is most welcome. However, there's a long way to go and patience is needed.